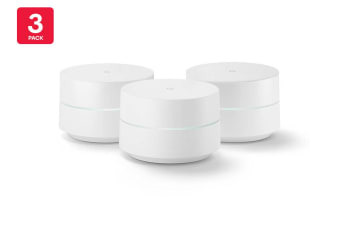 Read customer reviews of the Google Wifi (White, 3-Pack, AU/NZ Model). After a purchase, we invite our customers to leave a product review. The customer reviews for Google Wifi (White, 3-Pack, AU/NZ Model) are below. It is Google mesh – too early to say. Had it installed yesterday. It provides better quality to the superfast broadband within minutes of mobile installation with out ditches having to be dug and if we leave this house we can just de-rig it and pack it up. There is only very limited improvement in our wi-fi and occasionally I think it is worse.